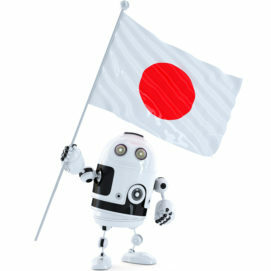 Does Japan Really Have an Ad Fraud Problem? 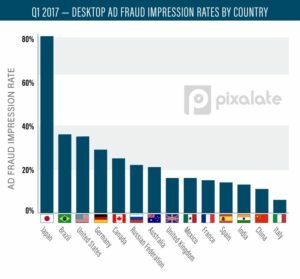 Recent reports have suggested Japan has the highest rate of ad fraud globally, with a whopping 81% of all impressions being tracked as fraudulent. 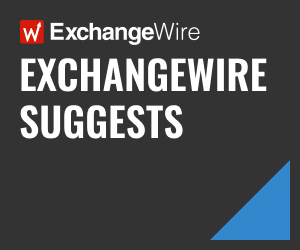 ExchangeWire asks whether this is really the case. 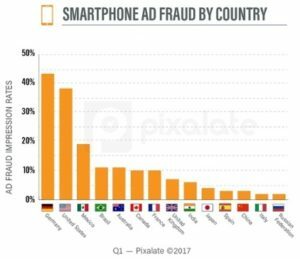 The report, published by Pixalate, revealed that the level of ad fraud in Japan was 2.25x higher than the next-highest offending market, Brazil, which saw ad fraud levels at 36%, with the US close behind, at 35%. On the face of it, it would appear that the Japanese market is in trouble and advertisers can only trust 19% of the total impressions actually being bought. However, is that really the case? On closer inspection, the report, which was picked up by a trade publication as one set of statistics highlighting the global problem with ad fraud, was misleading and used out of context. Advertisers globally should always be cautious and continue to adopt ad-verification tools, as they are doing, but sensationalised numbers should not be cause to switch off programmatic. Why? Firstly, the report was only looking at the volume of ad fraud on desktop impressions. The accompanying (and less incendiary for Japan) mobile and tablet ad fraud reports were not picked up by the aforementioned trade publication. 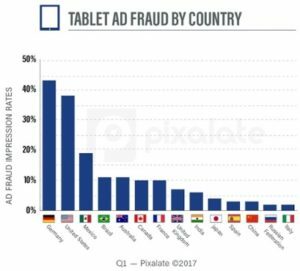 They show Japan as having the tenth-highest level of ad fraud globally across mobile and tablet devices, at less than 5% – far behind the two worst offenders: Germany (43%) and US (38%). This information becomes most relevant when you combine it with statistics showing the prevalence of mobile versus desktop in Japan. According to data from BidSwitch, which acts as an infrastructure connecting DSPs and SSPs, over twenty of which are local to Japan, 64% of available impressions occurred on mobile in Q3 2017, leaving only 36% appearing on desktop. And it’s a growing number, with mobile impressions increasing 5%, compared with the same period last year. 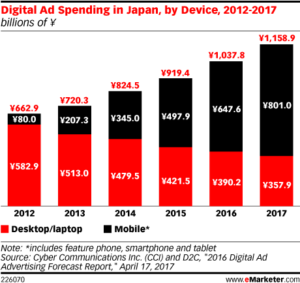 Data from eMarketer corroborates this, charting ¥801bn (£5.3bn) being spent in mobile advertising in 2017 – 69% of the ¥1,158.9bn (£7.7bn) total, and up 23.6% from the previous year in total mobile spend, where it accounted for 62% of total digital ad spend. That isn’t to say the desktop numbers reported by Pixalate can be ignored outright, as 81% is an incredibly high number and one that needs to be interrogated, but it brings perspective to the levels of fraud that potentially exist across all available inventory across all devices in the Japanese market. Japan has become a mobile-first market. However, it goes further than this. No other reports seem to back up this version of the state of the market, or even come anywhere close. Integral Ad Science, with its FraudLab being at the forefront of researching and stopping malicious actors perpetrating ad fraud, regularly produces market media quality reports. Its H1 2017 Japan Media Quality Report (in Japanese) shows fraud ranging between 0.7% (optimised), depending on the environment, type of buy, and whether ad fraud prevention technology was being used. A spokesperson from demand experts Hakuhodo DY digital confirmed that, looking at the company’s past records, the numbers reported by IAS are convincing. 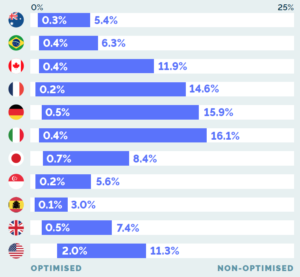 DoubleVerify’s Global Insights 2017 report also looks at fraud on a global level, with Japan reported as having a fraud rate of 2% – a third of fraud rates in the US, and below the UK, Canada, Germany, France, and Australia. Interestingly, Brazil (the second-highest offender in Pixalate’s desktop fraud report) has the lowest fraud levels, according to DoubleVerify, at only 1%. Insights from Moat on invalid traffic (IVT) levels in Japan throughout Q2 2017 cite 5.6% across desktop, with fraud rates on mobile web almost half that of desktop, at 2.9%. IVT takes on two forms: sophisticated and general. A total IVT rate refers to the percentage of total unfiltered impressions, determined to be delivered to a nonhuman. Within that, sophisticated invalid traffic refers to invalid proxy servers, automated browsers, or incongruous browser traffic, i.e. traffic coming from browsers pretending to be a different browser. General invalid traffic includes spiders, excessive activity, and data centre traffic. BidSwitch pre-filters traffic from SSPs and, while not the infrastructure’s primary function, it blocks approximately 12% of SSP bids, 2% of which would be referred to by the MRC as general invalid traffic, with the rest classed as sophisticated invalid traffic. ‘Scale’ is the key word here. The numbers coming from other sources may be over-inflated due to smaller sample sizes than the likes of Integral Ad Science, Moat, or BidSwitch, due to their scale in the Japanese market. Backing up the stringent efforts from the Japanese industry to operate in a fraud-free ecosystem, a spokesperson from consultative technology layer, D.A.Consortium, said the company is committed to developing and introducing the latest and best-in-breed technologies in all areas of ad fraud, viewability, and brand safety, aiming to provide safe and transparent online ads via third-party vendors and partners. There’s probably also a lesson in here somewhere about not accepting the first answer. Japan has ad fraud, but there are some great companies in-market working to mitigate the risk of advertisers buying fraudulent impressions. Many vendors are reporting Japan to have some of the lowest fraud rates globally, versus a couple of outliers showing misrepresentative numbers. Vendors and experts in this space are never going to be completely aligned on numbers, as scale and approaches to measurement vary from provider to provider. We know ad fraud is a global problem, but we need to focus on the positives, to show that new technology developments and industry collaboration are working really hard to bring fraud to its knees.